What Is Emancipation Of A Minor? Can It Affect Child Support? Each state (including Florida) provides for a process by which children can become legally independent of their parents (also known as “emancipation”). When a child is legally designated as independent, it can affect some of the parents’ legal obligations as well, for example, child support payments. Typically, emancipation takes place by a child growing up (i.e. reaching the age of majority, which is 18 years old in Florida), getting married, joining the military, etc. The child or parent also has the right to petition the court for emancipation via court order. In many instances, parental consent is required, unless there is evidence of abuse, abandonment, and other extreme circumstances. However, even though a child is presumed to become emancipated once they reach age 18, it is important to note that a child can also still be considered a dependent after age 18, not necessarily absolving a parent of their obligations (particularly if the minor is still a student in college and without a job, for example). Whether the minor is still in school. Whether or not a child can legally become emancipated—whether by petition or by reaching age of majority—is typically decided by the courts and is based each fact-based scenario. However, courts will typically not grant emancipation without being provided with significant evidence of its necessity out of respect for parental rights and responsibilities. That being said, any abusive circumstances, such as abandonment, often provide the court with that necessary evidence that the continued legal relationship between the child and their parents is no longer in the child’s best interest. Minus those extreme circumstances, if a minor is seeking emancipation, it is incumbent upon them to submit statements regarding how they can meet their own needs, why they are seeking emancipation, etc., and the minor’s parents must be notified of any related proceedings. Only once these documents have been submitted will the court request additional evidence regarding what is in the best interest of the child. 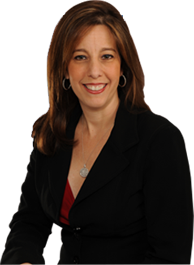 If you live in Florida and need assistance with any modifications to child support orders or issues related to child emancipation, contact Sandra Bonfiglio, P.A. to schedule a consultation. We can explain your options and work with you to find out what is best for you and your family.